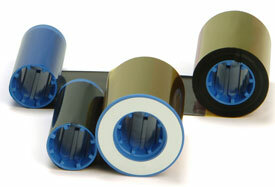 KdO - black dye-sub ribbon with clear overlay panel, 500 images. Includes cleaning roller. For use with the following Zebra card printers: P300C, P310i, P310C, P320i, P330i, P400, P420C, P420i, P430i, P500, P520C, P600, P720C.